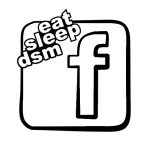 DSM Tech's, are a group of members that are "DSM Gods" and very knowledgable with all DSM's. These are the people members want advice from. Members in this group also have moderation powers in all tech related forums.